I came across the ‘Project of Hearts’ booklet by accident and picked it up and started reading. 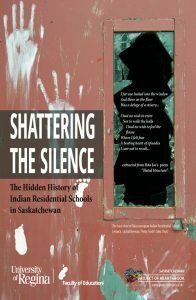 I have been working for Vancouver Native Health for over 8 years and have done an array of learning about residential school was and its effects. But, I found it very interesting to find out some specific facts for example, the creator of the system and the ‘whistle blower’ who discovered some of the alarming illnesses that were killing the students. I shared this book with some of my co-workers and we would be interested in getting some hard copies. I am aware this book can be seen online or printed off but we would like to have some copies we can share with the families that we work with and even other professionals we work along side with. I personally work with children from 0-12 and I would love to share some of this information with some of the daycare and out of school staff working with the aboriginal children on my caseload not to mention the hundreds of other clients my agency provides services too. Please let me know if we can access a decent stack of these booklets for free?